Unlike many other holidays, the Chinese New Year, needless to say, is very dear to the Chinese people. As a matter of fact, it is more of a tradition than anything else. 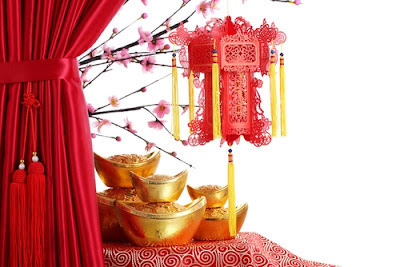 It is normally celebrated at the beginning of every Chinese calendar. The New Year festivities are held in countries and territories that have a significant Chinese population. Such countries include Philippines. Indonesia, Singapore, Thailand among many other countries in the world. It is by far the longest festival and probably the most important one at that in the Chinese calendar. The festivities typically start on the very first day of the month and continue through to the 15th when the moon is brightest. Many people, take weeks off from work in order to prepare for the festivities and usher in the New Year. Speaking of preparations, there is an important factor that is very crucial you remember – curtain cleaning. They are probably the most overlooked pieces of decorations and art when preparing for the Chinese New Year. Clean house curtains believe it or not do compliment the overall beauty of your home, and given the fact that they tend to accumulate lots of dust and dirt, they should be cleaned often, and most especially before the coming of the Chinese New Year. If you haven’t got the slightest of clues on how to go about it, below are some guidelines to set you on the right path without clearing out your bank account. You can actually do it yourself without having to call in a professional to handle the cleaning process for you. Gone are the days when curtains were predictably made out of cotton. Today, curtains are made from all sorts of material which tend to make curtain cleaning a somewhat complex process. Different materials require different detergents for the cleaning process to be effective. There are fabrics and materials that contain a flame retardant treatment and could be destroyed with the wrong kind of wash. There are other still that tend to sun rot and can therefore not be washed at all. Others are machine washable and others just cannot bear the whole machine wash process. Clearly, knowing your material is paramount. And how else does one know the material he is dealing with unless he checks on the label? You might think you are comfortable enough to determine the kind of fabric or material used, probably because you have interacted with them for a long time. But what is the need of risking and playing Russian roulette when you can always check on the label? You stand to lose nothing by checking. Once you have determined the material used to manufacture your curtain, you can proceed to begin the cleaning process. And the first thing that you do is getting it out of the rod and removing all other extras that it might be having to make the process easier and faster. Remove the heading table the hooks and any other additions on it. Admittedly, it is a simple step, but one that has the potential to lighten your cleaning workload. Removing the hooks and any other additions will also ensure that your curtain remains intact and it does not get damaged in the process. After lightening the curtain, and before you wet it, it is recommended that you start by removing all the dust that may lay on its surface. You can do this by simply shaking the curtain vigorously. You should however not do this in the house to avoid triggering any allergies or respiratory issues. 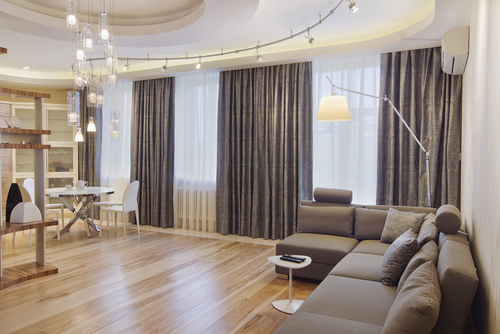 Removing the dust in an open space will also save you the hassle of having to dust your home after. For the curtain cleaning process to be effective, it is recommended that you soak the curtain in cold water first for some time before you proceed to the rinsing process. 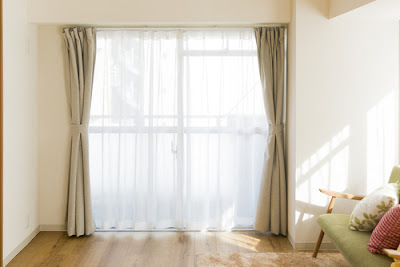 After, you can move your curtain to water mixed with the right detergent for your curtain’s material. The detergent water should be properly mixed to avoid leaving any unsightly marks or spots on the fabric. If the material you are dealing with can be washed in a washing machine, then you can simply put your curtain in the washing machine and rinse it thoroughly. If possible, you can hand wash the curtain and then gently rinse it off for best results, try and wring out as much water as you can from it. Ensure it is damp and not completely dry. This may probably be a turn off for many but believe it or not it yields the best results. As a matter of fact, professionals recommend that you finish off the curtain cleaning by ironing the damp curtain. When you are ironing it, try as much as you can to do it length wise so that the curtain returns to its original length when completely dry. In the event you run into any problems trying to iron a damp curtain, you can always call in a professional to help you out. After the ironing, all that is left is reconnecting the hooks, the tapes and all other attachments that you had detached. When you hang, ensure that it is slightly damp as this will help it to return to its actual size faster. It will also ensure that the curtain does not crease up during the reattachments of the hooks and tapes and the actual hanging. In addition to the above guide, you should also ensure that you have then curtain track cleaned up, the window sills as well as the windows themselves before you hang the curtain back on the wall again. This simple precaution will ensure that your do not get dirty from the dirt on the close surfaces. Sure it may seem like a little bit of extra work, but think of it this way, you are getting a cleaner house as you get closer to the festive time.